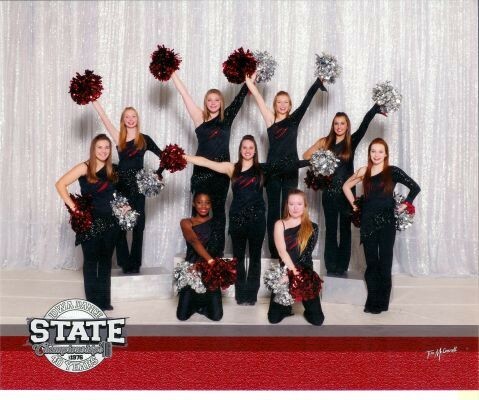 2019-2020 Momentum Dance Team- Nadia Schafbuch, Makenna Weiermann, Anna Dursky, Colton Boyer, Chelle Thys, Courtney Rhinehart, Skylyss Stevens. ​2017 STATE DANCE- Congratulations to the Dance Team for an awesome date at the Iowa State Dance Championships. The team got Division I ratings in both of their routines and brought home the 3rd place trophy in the Class I lights category. They also placed 5th and received a trophy in the Class I Pom category. These are the first trophies the girls dance team has ever brought home from state!